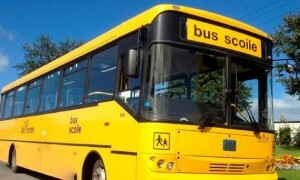 I can confirm following my meetings with Minister John Halligan and Bus Éireann additional spaces have been provided for the school bus travelling from Johnstownbridge to Edenderry. it has now been confirmed that Bus Eireann will provide extra seats for this route over and above the previous year’s allocation. This will be a huge relief for parents and school children affected. I would recommend parents now contact Bus Éireann directly to secure their place.